With a new coach and new season, come new traditions. This week Paris Head Senior High football coach, Tyler Clark, introduced the Eagles to a new tradition - realizing and setting goals for the season. 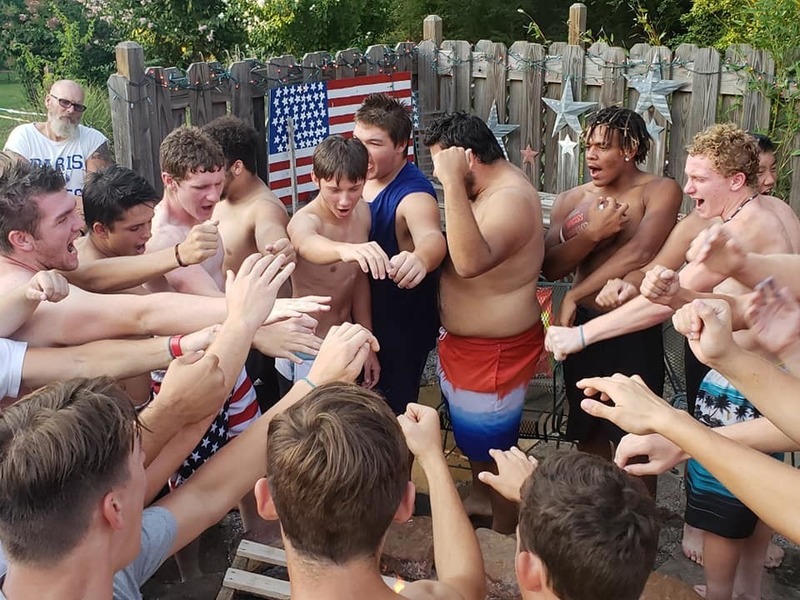 The Eagle team convened on Thursday for a cookout and pool party at Amy and Rick Trusty's house. As they arrived, each player was invited to write their main goal for the year on a pallet of wood. Later in the evening, each team member voiced their goal for the year. Then Coach Clark threw the pallet into the fire pit, collecting the ashes at the end of the evening. The team will keep these ashes and take them everywhere they go to remind them of their goals throughout the season. The Eagles will kick off the season at home tonight vs Perryville at 7 pm.